Wild Rainbow African Safaris was featured in Passport Magazine. This article goes in depth about Jody and her in knowledge and passion for Africa and all it has to offer. View a pdf of the article here. Wild Rainbow African Safaris highlighted in Travel Weekly article “Challenges exist, but Africa can be safe place for LGBT travelers“. This article covers the benefits and challenges for LGBT travelers in Africa. Jody talks about a Uganda gorilla trip that had to be cancelled because of Anit-Homosexuality legislation (later annulled that same year). 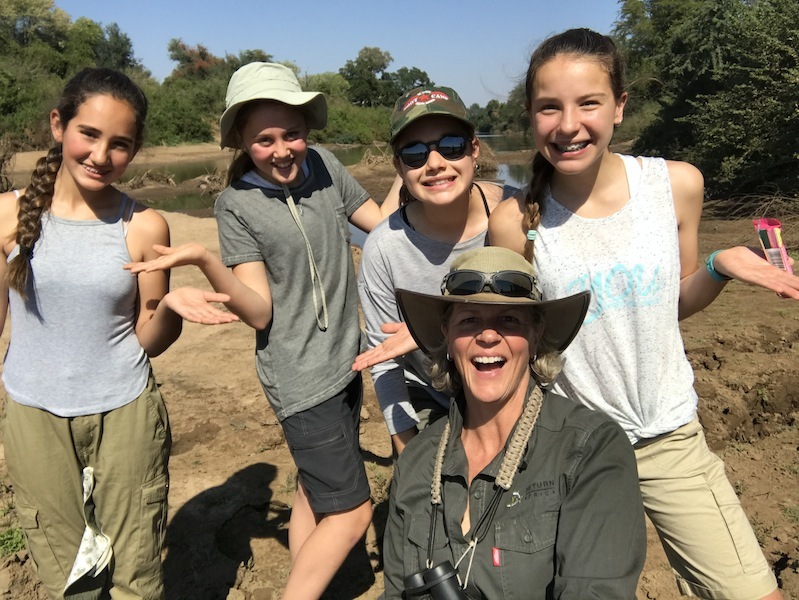 Philanthropist and LGBT activist Jody Cole didn’t set out to start a safari company, but once she followed her life-long dream to go on safari in Africa, her course was set. It began in 1998 with a six-week trip to South Africa and Tanzania. “I loved it the moment I got off the plane in South Africa,” she told Outword. “I recognized the smell of the soil; it was a visceral experience. It caught me off-guard.” A year later she returned for a walking safari in Zimbabwe. “That was really the safari that sealed the deal for me and my subtler forms of African nature. She holds a Level 2 Field Guide and Trails Guide certification, with advanced rifle handling, and will begin her Level 3 training, the highest level certification, this year. Her training involved a rigorous, month-long curriculum, learning “everything from ground to sky: soils, botany, geology, animal behavior, insects, birds and more. Although there has been political turmoil in some areas where Wild Rainbow operates, for the most part the unrest is concentrated in urban areas rather than in safari country. The company did cancel planned trips to Uganda in 2014 after its government passed a punitive law criminalizing homosexuality, not only to avoid risk to its safari guests, but to make a political point. Ten years ago, Wild Rainbow African Safaris led its first custom African trip, taking 20 people to Tanzania. A year later, Jody Cole bought out her business partner and took her first group solo to South Africa for a walking and wildlife safari. Since then, she has provided hundreds of guests with the opportunity to safely experience Africa and all its delights, from stays in five-star luxury lodges and mobile tent camps to cultural exchanges and Cape Town nightclubs. Wild Rainbow African Safaris is celebrating 10 years of creating customized, guided safaris to East and Southern Africa. Wild Rainbow is owned and operated by Jody Cole, one of the few American women to have achieved two of the highest qualifications for field guides in Africa. Wild Rainbow offers every one of its guests the opportunity to safely experience Africa and all it has to offer – from 5-star luxury lodges, to mobile-tented camps and safaris, to cultural exchanges and Cape Town nightclubs.